A toxic weedkiller linked to Parkinson's disease and banned in more than 30 countries will not be outlawed in Thailand, after authorities announced Wednesday they would instead restrict its use. Paraquat is highly poisonous, with just one sip of the herbicide fatal to humans, and its use has been banned throughout the European Union since 2007. "The committee decided to restrict the use of paraquat, chlorpyrifos and glyphosate," Industry Ministry official Somboon Yindeeyoungyuen told reporters. Scientific studies have linked the pesticide chlorpyrifos to lower intelligence in children while critics say the weedkiller glyphosate may cause cancer. 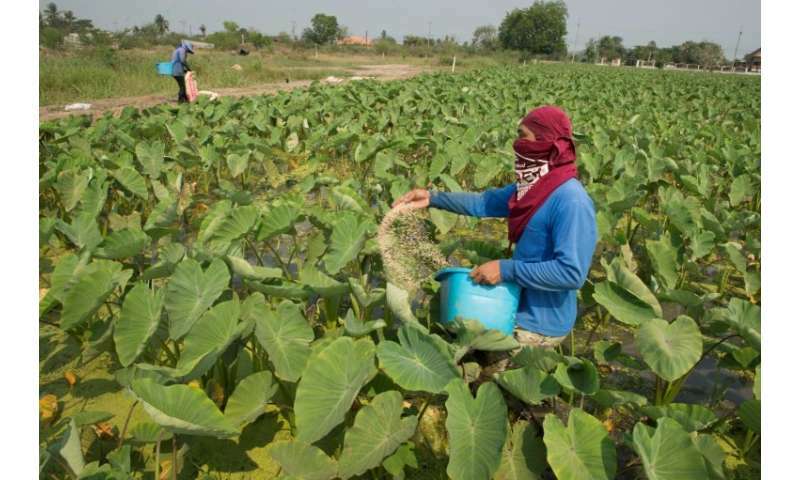 Somboon said regulations—such as what concentration of the chemicals are allowed on crops and where—will be determined by the Agriculture Ministry within two months. The announcement came as a disappointment to environmental groups and medical researchers, who had lobbied for a full prohibition of paraquat and chlorpyrifos in particular. They cited links to Parkinson's disease and studies showing worrying levels of contamination on Thai produce and in water sources. 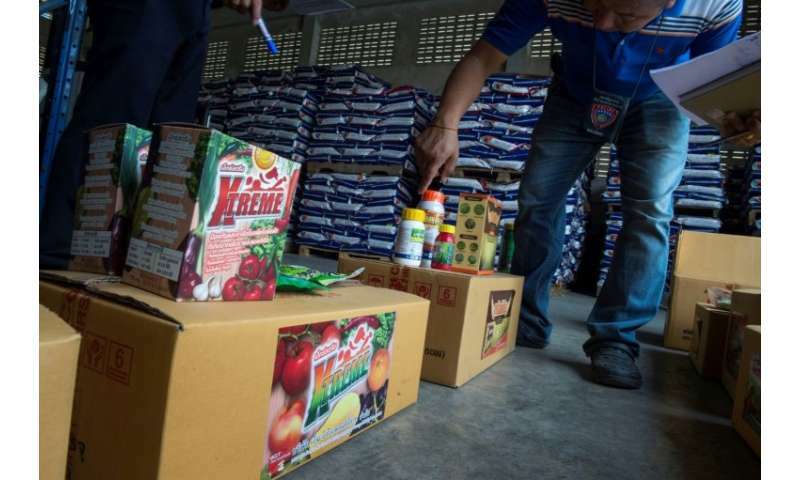 One of the leaders of the ban campaign, the Thai Pesticide Alert Network, said the government's decision made them feel "sorry for the Thai people". "This committee... does not care about protecting the health of the people and is a tool of the companies selling those products," it added in a statement. The group called for a review of the decision, saying the government committee was stacked with industry allies and plagued by "conflicts of interests". Thailand is a leading rice exporter and a key market for agricultural inputs from China. Experts say Chinese paraquat manufacturers are scrambling to keep markets open abroad after Beijing announced plans to phase out domestic sales of the herbicide by 2020. Thailand also hosts a thriving black market for illegally-mixed farm chemicals, with farmers drawn to concoctions that are cheaper and more potent—but also linked to a myriad of health problems for consumers and farmers alike.